If your dog is nervous or shy around new places or people, this is when you may want to consider a variety of ways to help to build confidence in your dog. Signs of a confident dog include being outgoing, adventurous and willing to explore the world around them. Having an unconfident dog may make it a trial for you both to get involved in going to new places together. But, there is no need to worry as there is plenty you can do to build your dog’s confidence. Here are 8 steps to help build confidence in your dog. You need to let your dog spend as much time as possible with other dogs. Even when they act fearful, letting your dog spend time with lots of different doggie friends can really help to boost your dog’s confidence. 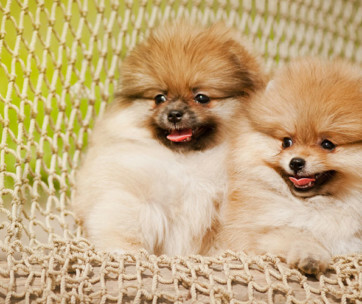 Dogs who are open to these kinds of interactions will try to emulate the other dog’s behavior. 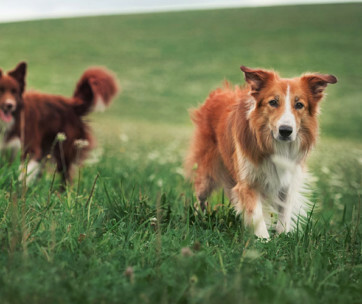 In time as they see other dogs being confident, they may be more likely to have some fun. Your dog will soon be bright, breezy and confident enough to try things that you did not imagine they ever would. This tactic works with most dogs. However, its victory depends to a large extent on the personality of the dogs that they are around. Therefore, taking your dog to a training class to be around more confident dogs should be part of the plan. This method works best when it happens to your dog during their first year. Make the visits consistent and your dog will soon become confident and social. Exposing your dog to new outdoor experiences and environments slowly and gradually is a great way of rewiring their brain. Gradual exposure will help your dog to associate once fearful environments with increasingly good feelings. This gives you a more confident dog. For instance, if your dog is afraid of cars, and you wish to get rid of this fear, take treats with you on short walks. After a while, a dog will the dog will begin to think more about the food in your hand than the cars rushing by. The key is short but frequent trips to busy roadsides. After the dog is more comfortable getting close to the road, you can try crossing it. Continue to increase the exposure to the thing that causes fear to help build your dog’s confidence. This method must be controlled and connected to positive experiences like being treated. For it to be effectual, ensure the treat is a highly prized treat. Agility training is a great way to have a more confident dog. This involves teaching your dog tasks like jumping over a pole or sit and stay on command. Agility training gives your dog a new focus and a way to burn off excess energy. Even though your dog is in training, this exercise is really all about getting them out and about to increase their confidence. Begin these events in a calm appropriate way so that your dog will learn confidence cues from you. In time, your dog will see that all they need do is listen to you to have an enjoyable time. As your dog accomplishes new challenges effectively, your dog will improve their trust in themselves and in their human partner too. It is surprising to discover just what your unconfident dog can do as soon as you start escalating positive parts of their life. When you and your dog stay sitting at home, it can become easy to concentrate on what is wrong, which is not healthy for you or your dog. Make your environment a happy one as this is a great way of increasing your dog’s confidence. Lots of intelligent toys and safe places to sit are really helpful. When going outside, you can go for long walks in places where your dog really enjoys spending their time. A natural environment is fascinating to your dog. Outside is a range of amazing scents, things to see and do and so your dog will be less focused on what is scary. Quite the reverse, your dog will concentrate on you and enjoying spending time in an environment that they love. This will aid your pet to spend much less time being nervous and spend more time being curious and confident. However, some dogs can be uncomfortable in such open environments so you must consider how they react first. Instead find an environment that makes them comfortable -have fun exploring as many new stimulating environments as possible. Targeting is a type of training where a touch to a specific part of your dog’s body leads to you achieving a precise outcome. The trick to targeting is to keep your pet attentive to you even when in the presence of a fearful event. You can learn to do this at home or seek out expert advice. It starts by holding treats in your hand and sooner or later, your dog will realize that if they touch their nose to your hand, there will be a reward given. You can follow this up when they have learnt to touch your hand with their nose. Take a paw in your other hand and only treat when they leave it there. Once your dog is able to respond in this way, they will have understood an important, confidence boosting lesson. That you can be trusted. Targeting can be exciting for both dog and owner. 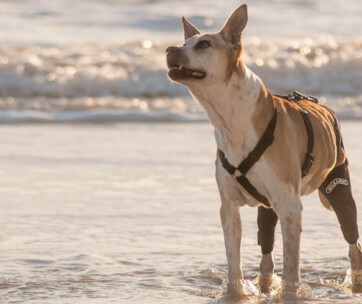 Now you have a useful tool, you can use the targeting orders whenever your dog needs to be side-tracked from anything that makes them unconfident. To improve confidence, whenever your dog gets anxious, you can play the tapping game. Learn more about the technique, so that the next time you are on a dog walk and something seems scary to your pet, this technique can be used. This will seem like a game which any dog would be happy to play in turn helping to increase their confidence. It may seem counter-intuitive to surprise a nervous dog, but the idea is not to let your dog spend time thinking about their routine problem habits. Side-step confidence draining situations by trying to introduce a range of activities that keeps their mind ticking. 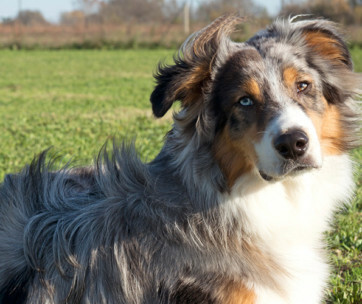 Shaking up routines works as a way to reprogram your dog into being more confident. Show your dog that unexpected situations can be interesting and undaunting. Most of the time, dogs turn out to be more confident if their lives are organised. A shy dog will be pushed out of their comfort zone by anything different from the usual routine. 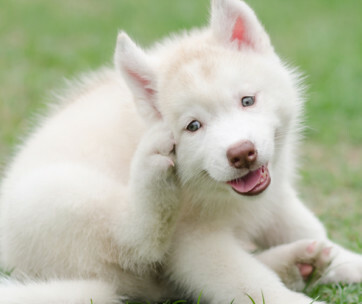 However, with care and compassion, your dog may benefit greatly from shaking up their routine. Change up times for walks, have a different friend come by at different times, surprise with special treats and your dog’s confidence will improve as they learn to expect the unexpected. Teaching your dog new skills easily allows you to produce a powerful language with your dog. This is helpful in teaching your dog to trust and rely upon your judgement and not just their own. 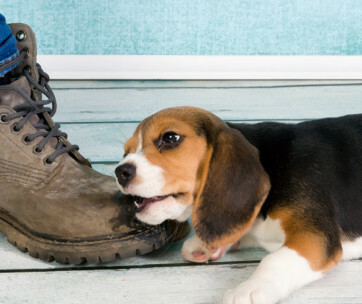 Once you learn to progress an apt language with your dog through your body language and tone of voice, you can achieve control over your dog’s more negative behaviors. In this way, you will be more confident in communicating with your dog when they are feeling unconfident. Getting your dog’s confidence is a big step in making them more confident. Signs of a confident dog are when they communicate happily with their owners. Sympathetic obedience training and time spent learning to communicate effectively with your dog helps you to guide your pet easily. When nervous or worried your dog will get through things more quickly knowing that you are by their side. All dogs have a pre-programmed level of stress within themselves to deal with facing new people or environments. With a dog lacking in confidence you will realize that the closer they get to something, the more frightened they become. Each and every time you are working with an unconfident dog, it is important to be thoughtful so that you do not go too fast or get to close too soon. Allow your dog to face their fears from a distance as you make your way slowly towards whatever is troubling them. When you get closer to a situation, you can try to divert your dog’s attention and communicate kindly. Most dogs will still need you to start from a distance, even in the training stages. In this way, your dog can concentrate on your directions when getting too close to something frightens them. Over a period of time, you should try out all of these approaches to gain more positive signs of a confident dog. Try lots of strategies for your dog until you discover the perfect one for them. Though every dog owner has expectations that their dog will become confident, socialized and outgoing, some dogs will take longer than others so just be patient until you have a confident dog.